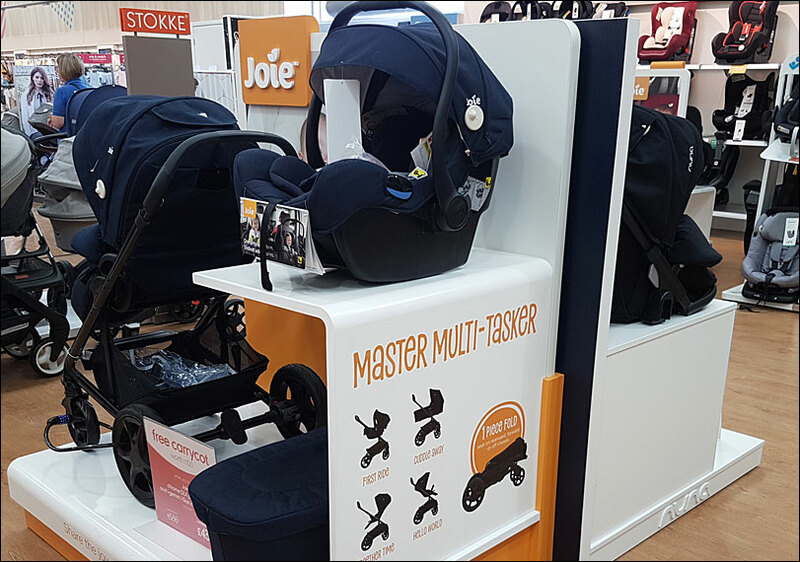 Mothercare, Joie, and Nuna are three of the biggest brands in the world of children’s products. And a grown-up solution was required to meet their retail display requirements. Naturally, the display stands had to meet their very high standards, in terms of visual appeal, quality of materials, and robust manufacturing processes. It was also critical that these qualities remained consistent across each of the more than 500 stands that were needed. And that they were delivered and installed without hassle within at least 80 stores throughout the UK and Ireland. The first elements of the opportunity were successfully provided by members of Merit’s creative and technical team. Their challenge included satisfying the Nuna product bywords of “simple, practical, stylish” and Joie’s “simply brilliant” design philosophy. The approach and methodology we take with the manufacturing and review of prototypes particularly helped ensure the clients’ requirements were met prior to moving to full production. In fact, Steve Smith, Brand Manager UK and Ireland at Nuna, said: “Another company had made a prototype and there was no comparison. The Merit prototype was a million miles better. One of the key contributory factors to the success of the project was Merit’s “Retail Fulfilment Hub”. The online system provided at-a-glance access to all essential elements including Mothercare store locations, installation dates, and stand specifications. 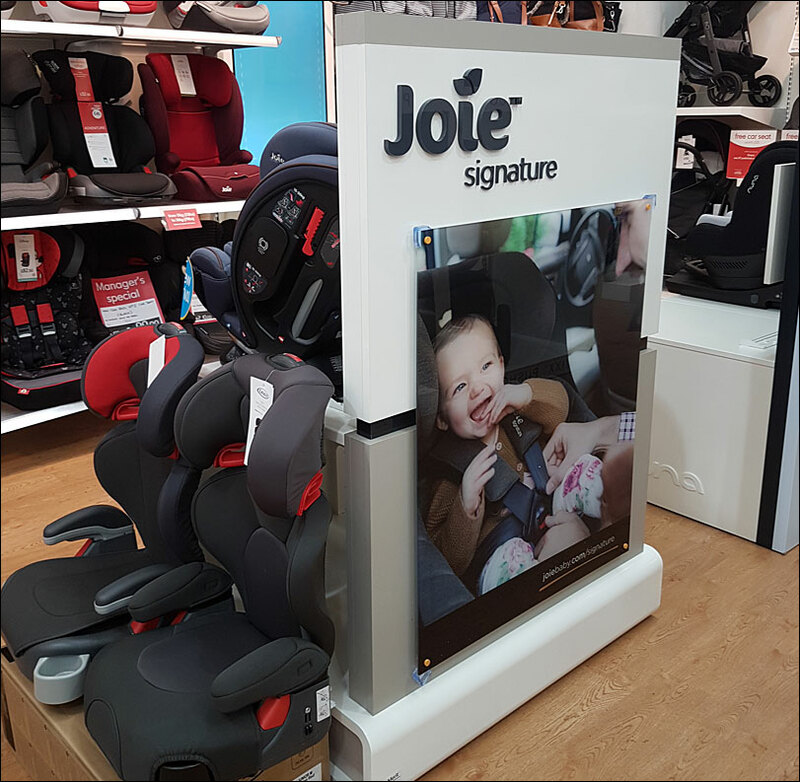 It was accessible to Joie and Nuna personnel as well as the Merit team and also contained photographs of each of the stands after they were installed within the Mothercare stores. Steve said: “The Merit Fulfilment Hub was absolutely imperative. Essentially, we also gave access to our sales merchandisers. It allowed us to have great visibility of everything that was happening. The merchandisers were responsible for the products on the stands, quality control, and training the Mothercare staff. 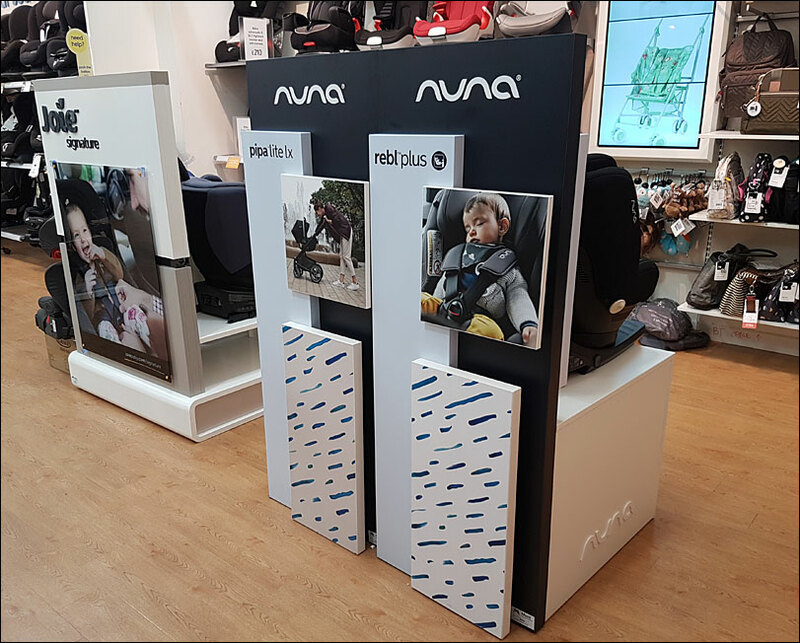 We actually installed 285 stands for Nuna and 268 for Joie in 83 stores across the UK and Ireland. The project scope began in March and the installations were ready to be rolled out from July to August. Our project manager, Jonnie White, said: “The client had some store priorities. We then scheduled the rest according to logistics, route planning, and liaison with the stores.